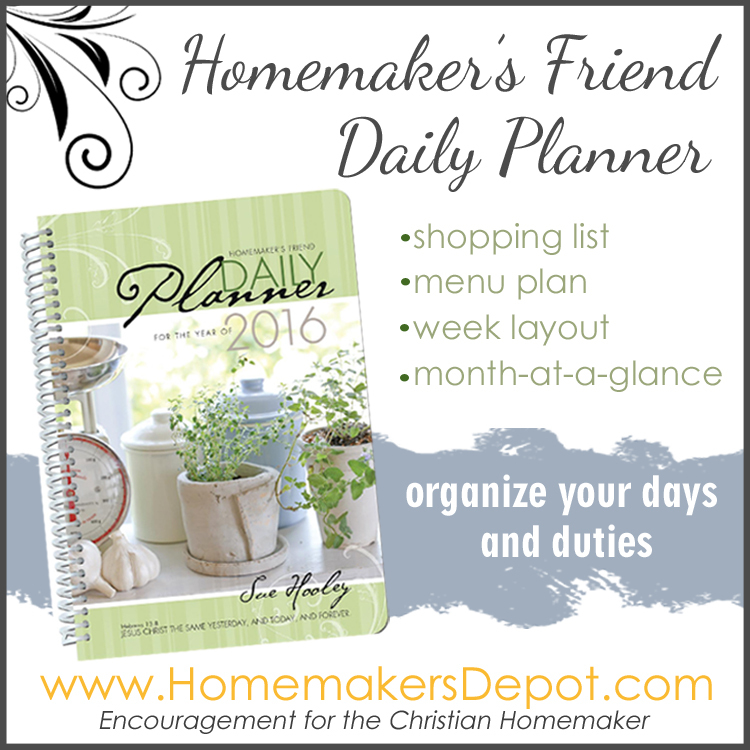 The 2016 Homemaker's Planner is now available! In this very digital world, I still prefer some things that are paper. Like my Bible, books and my planner. I have all of these things available on my iPad and cell, but having them in paperback in my hands just feels right. My favorite planner is the Homemaker's Planner from Homemaker's Depot. 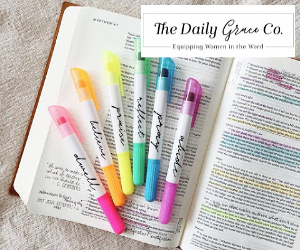 This planner, great for homemakers and working women, offers a weekly view, monthly view, tasks, notes, perforated shopping lists and Scripture verses splashed throughout. And the covers are always so beautiful. 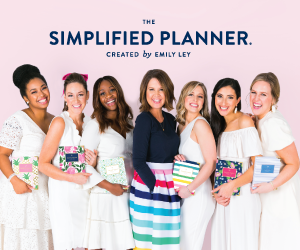 You will love this planner and love the organization it helps provide. 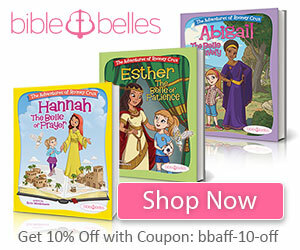 For $1.00 off your order this month, enter the code SB100. The Homemaker's Planner makes a great gift for sisters, pastor's wives, teachers, neighbors, friends, for any woman. 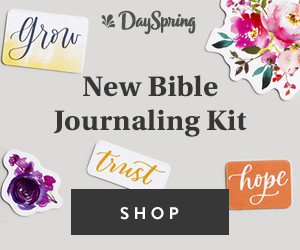 If your order is $49.00 or more, you get free shipping. 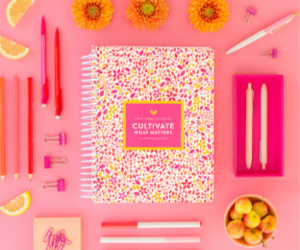 To enter to win a 2016 Homemaker's Planner, complete each task in the rafflecopter below. I had one of these one year...meant to order another the next year and never did. It definitely makes keep up a lot easier!!! 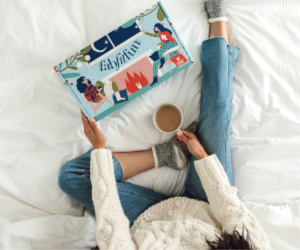 I really like the lay out of this planner. I haven't, but I love using planners. They really help me keep up with my appointments etc. totally with you...much prefer paper especially when I sit at a computer so much! !